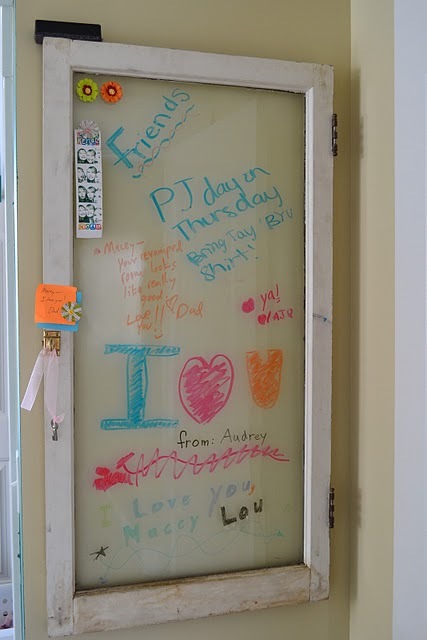 She used an old window for a dry erase message board. Brilliant!! I found this long frame out in the garage- perfect for a dry erase board. 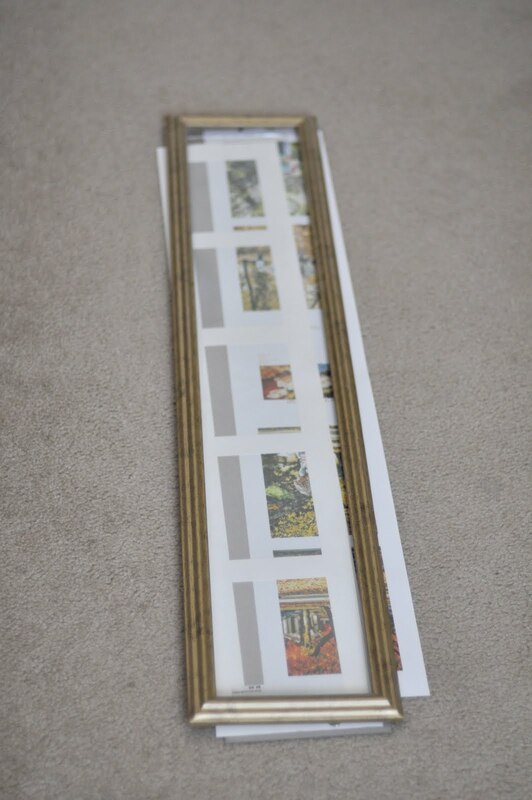 First, I took it all apart and spray painted the frame black. Then I cut white card stock for the background. 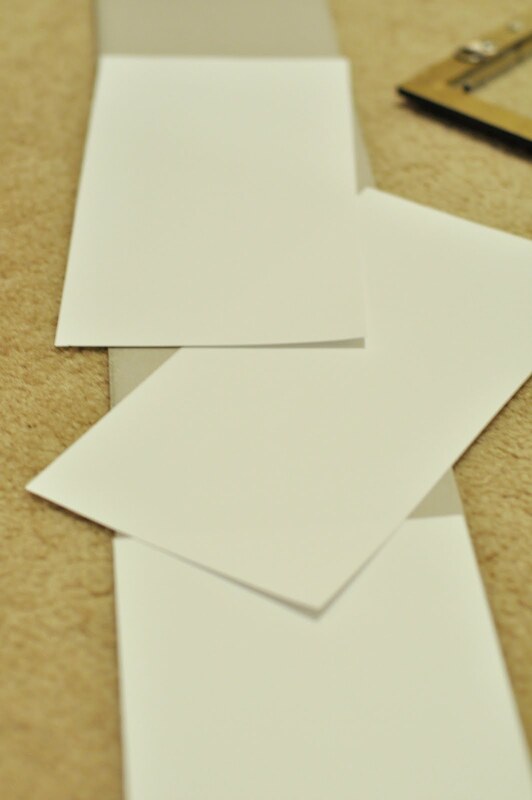 I later changed the white to light grey card stock for more contrast. 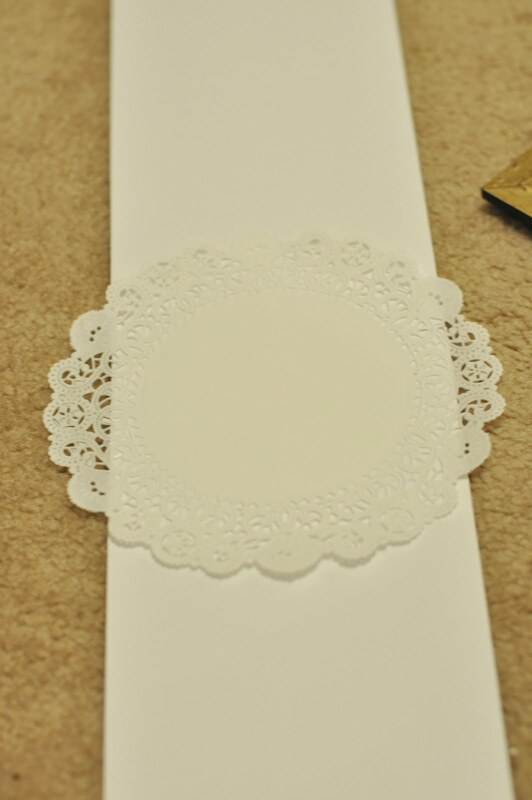 At all the joints where the card stock met, I placed paper doilies. And here it is in place. We love to write notes to each other. My husband is way mushier than I am. I am more of the utilitarian note writer like, "karate tonight at 5" but he writes sweet and flowery stuff. It's nice to have visual reminders of his love. 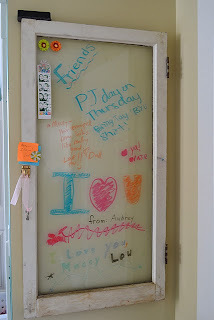 I need to work expressing my love a little better and I think this board will help me with that. 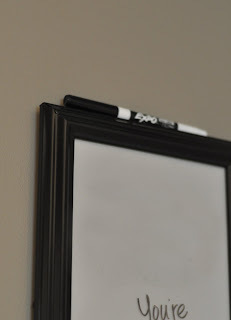 We just store the marker above the frame. 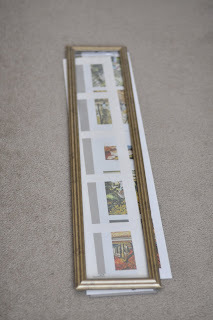 Speaking of Hollyhocks & Honeybees, I recently won a giveaway from her blog. She sent me a pound of this super cute candy. Yes at one point this bowl was full. It's not only cute, it's tasty too! She has tons of cute ideas and a kitchen to die for. Go check her blog! 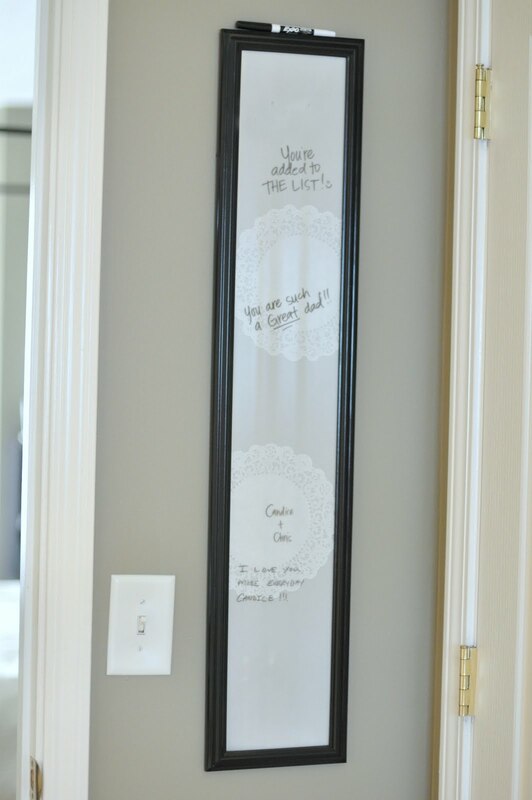 I love your version of the window message board! The dollies are so cute. Happy message writing :) Glad you are enjoying the candy & thanks for the blog shout-out! Love having a blog friend that is across the country- it's the BeST! This message board is really cute!! 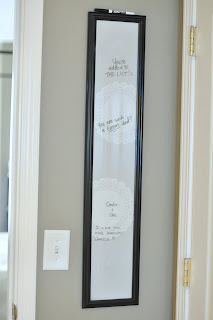 I have a wall that's similar in size and a frame that shape would work great! Thanks for the inspiration! !